I know Google love their adverts but I wasn’t expecting this in Chrome. Google Glass would be a whole load less appealing if adverts popped up as you walked down the street. Of course, that will never happen. I’ve been an iOS user for 5 years now which is natural as I also use Macs. I love the devices and software but in doing the podcast and seeing so much momentum with Android I had an itch – I really wanted an Android device to play with. I didn’t want a phone as that would involve a contract and I didn’t want a device that had a companies UI grafted on top of vanilla Android. So when the Nexus 7 was launched it seemed to be the ideal device for me to get. 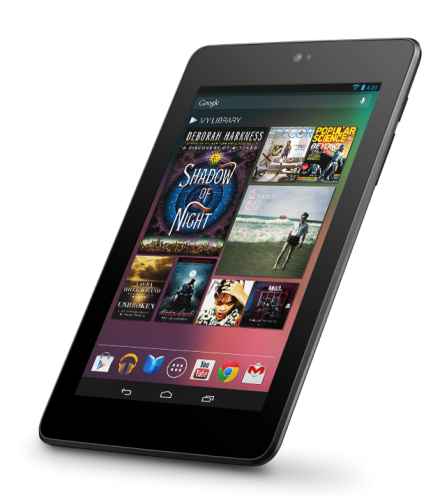 The price drop/increased spec’s at the start of November made the choice even easier so I picked up a 32GB Nexus 7 in the middle of November. As I already have a iPad and iPhone 5 (both new this year) it’s definitely a luxury purchase as it wasn’t as if I had a gap in my gadget library but it has allowed me to compare the different form factors and understand their strengths and weaknesses. What I was most interested in was the software – how good is Android now that Jelly Bean (Android 4.2) is launched and how strong is the third party support? I hate the iOS vs Android posts on the web as the two camps are so entrenched it’s hard to get a view that’s accurate. At least buying the Nexus means I can form my own view and I can also be more informed about Android. I’m also a geek so it was a brand new device and ecosystem to enjoy. 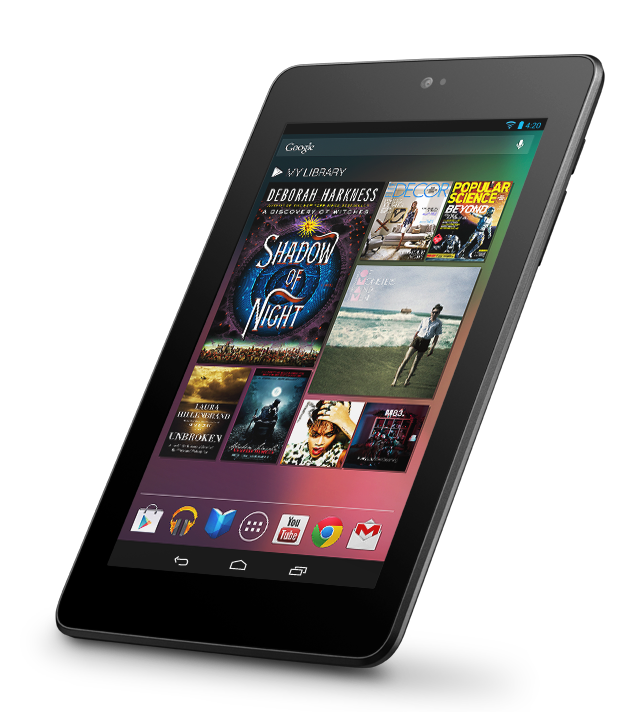 I’m not going to cover the Nexus 7 hardware in detail but just mention some highlights. For a full review I’d read The Verge review from June 2012. 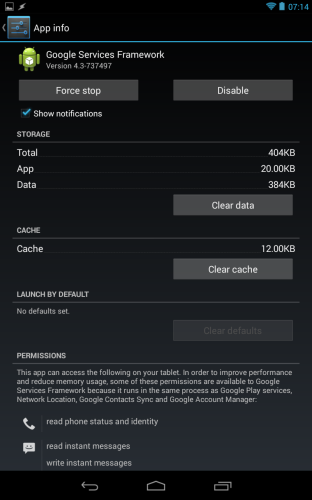 So what do I like about the Nexus 7? Ever since Steve Jobs dissed the 7 inch form factor there has been a debate about their value. For me the 7 inch Nexus is an excellent size for a tablet. I can hold it in one hand and read from it easily. I’ve not had an issue with touch points or that my hands are too big for the screen. Indeed Apple bringing out the iPad Mini shows that Jobs ire was more to do with competition to the iPad rather than a 7 inch tablet is too small. The screen quality is excellent. Much is made of retina screens but I find the text quality on the Nexus 7 is great. No eye strain and no visible pixels either. The screen is 216 ppi which is less than the 264 ppi that the iPad has but similar to the Macbook Pro which has a ppi of 220. One point to note is the screen felt washed out at first. I found that having the brightness set to automatic set it far too low and my current setting is around 40-50% which is ample for me. Video playback is excellent too – it’s a great device for watching video’s on but more of that later. The weight is excellent. I think this is the biggest advantage over an iPad. I can hold it in one hand, I can read easily on planes, at work or around the house without getting arm fatigue and unlike the iPad the weight is just not an issue. It also feels good in the hand with a grippy dimpled plastic back which makes it less likely that you’ll drop the Nexus. Overall build quality is good but not quite to the same standard as Apple but it is a lot cheaper that the iOS devices. It never feels cheap though – considering it’s only £160 for the 16GB version it’s a steal at that price. Landscape mode isn’t the best. It feels squashed and I find it difficult to work in that orientation unless it’s for watching a film. Limitations of a 7 inch tablet with this form factor. The 7 inch tablet is great for reading, watching video, Twitter et all but I do have issues with it as a work device or content creator. The iPad can do all those things but I found the screen just to small in landscape to create anything useful. 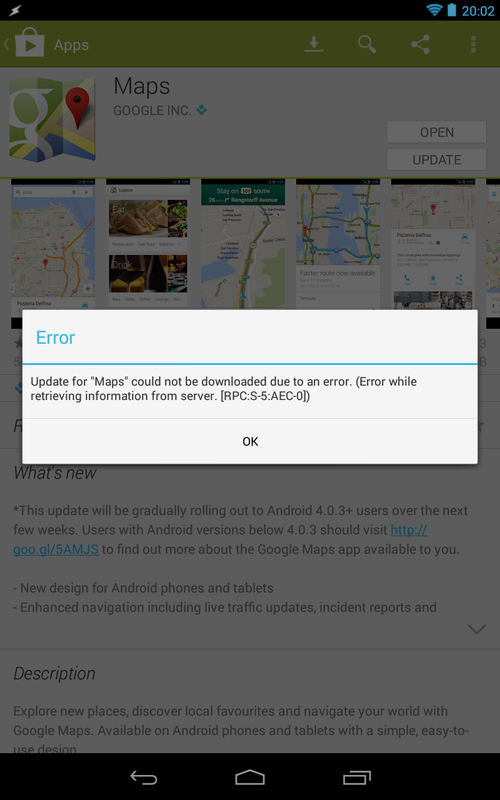 Another issue is the lack of software written specifically for Android tablets. More on that later.